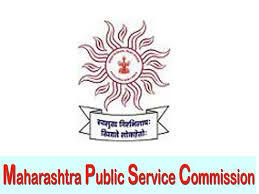 Maharashtra Public Service Commission (MPSC) invites application for the post of 1008 Assistant Desk Officer, Sales Tax Inspector & Police Sub Inspector through Assistant Desk Officer,Sales Tax Inspector,Police Sub Inspector Pre Examination 2017. Educational Qualification : Candidates should have Graduate from recognized University. Selection Process : Selection will be based on Preliminary Examination & Main Examination & (Physical Test & Interview for Police Sub Inspector Only). Application Fee : General Category Candidates have to pay Rs.373/- and Rs.273/- for Reserved Category in the form of SBI Challan/ Online Payment/ Debit card/ Credit card/ Net Banking/ CSC (Citizen Service Centre). How to Apply MPSC Vacancy : Interested candidates may apply On-Line through the website www.mpsc.gov.in from 26.04.2017 to 16.05.2017 thereafter website link will be disabled.